One year on from the U.S. Presidential election, we look at the impacts that the Trump administration’s policies on immigration enforcement and detention have had on refugees, asylum seekers and migrants, both in the United States and globally. Following his election as U.S. President, Donald Trump signed a number of Executive Orders related to border security, refugee and asylum admissions, and immigration enforcement. In our article from earlier this year, 10 Ways the Trump Executive Orders Will Impact Immigration Detention, we examined the significant costly, and damaging implications the Orders would have for refugees, asylum seekers and migrants. Now, almost one year later, we examine the harmful effects of those misguided policies. Despite significant pushback human rights advocates, local authorities, and migrant communities, the consequences are far-reaching and affect U.S.-born and migrant community members alike. 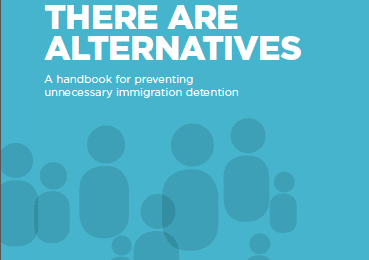 The Trump Administration’s recently released Immigration Principles reiterate Trump’s rejection of humane and effective alternatives in favor of a costly and ineffective policy of mass detention. The heavily criticized principles seek to further expand the grounds on which migrants – including children and families – are detained and deported. They also substantially increase the country’s detention infrastructure and boost funding for immigration authorities, despite evidence that increased use of detention and enforcement does not actually deter future migration or promote effective border management. The first six months of the Trump presidency saw a 40% increase in arrests of undocumented migrants pending deportation. However, deportations have actually declined under this administration, leaving an increasing number of people to languish in inhumane conditions in immigration detention facilities. The expanded definition of persons who are a ‘priority’ for immigration enforcement has left virtually every undocumented person in the United States at risk of immigration detention. Arrests under the Trump Administration have disproportionately targeted those without any criminal record, as arrests of migrants that have committed no criminal offense have more than doubled. Arrests and detention of pregnant women are increasing, despite the immigration agency’s own guidelines that they should be released unless “extraordinary circumstances” exist. Trump’s decision to end the Deferred Action for Childhood Arrivals (DACA) program – despite overwhelming evidence demonstrating recipients’ contributions to the US economy – puts 800,000 young people at risk of detention and deportation, though most have little or no connection to their country of origin. Trump has also begun dismantling protections for those who have fled civil war or natural disasters in their home country, ending Temporary Protection Status (TPS) for people from Sudan, Haiti and Nicaragua and refusing to guarantee extensions for other countries with TPS status. The Trump Administration’s 2018 budget calls for an unprecedented $1.2 billion expansion in immigration detention capacity in the United States. Trump has asked Congress to allocate $2.7 billion dollars to lock up a daily average of 51,379 people in immigration detention in 2018. This would nearly double the average detention capacity of the past decade in what is already the word’s largest immigration detention system. Such costly expansion will be harmful and largely ineffective in deterring future migration. Trump’s 2018 budget and Immigration Principles reiterate the President’s commitment to significantly increasing the capacity of US Immigration and Customs Enforcement (ICE) to arrest, detain and deport mothers, fathers, children and any person who is undocumented. While Executive Order (EO13768, Sec. 7) called for funds to hire an additional 5,000 Border Patrol Agents and 10,000 federal ‘enforcement and removal’ officers, recent reports suggest the administration plans to double the size of ICE by 2023, increasing staffing by 25,700 personnel. Causing further concerns – given already widespread allegations of mistreatment and neglect – the administration plans to abandon existing standards for health, safety and civil rights in immigration detention. Trump’s Executive Orders requesting the Department of Homeland Security (DHS) Secretary to seek expanded partnership agreements with state and local police under the INA’s 287(g) Program have been met with significant opposition by local, municipal and state authorities throughout the US. There are currently dozens of so-called ‘Sanctuary’ cities, counties and States which have passed legislation protecting undocumented migrants, and preventing law enforcement authorities from assisting or cooperating with ICE officials. Trump’s Immigration Principle (2. B.) provides incentives for State and local governments to enter into agreements with the Federal Government regarding immigration enforcement efforts. However, in the face of opposition Trump has explicitly attacked sanctuary cities. Principle (2. A.) proposes blocking sanctuary cities from receiving certain grants, funding or cooperative agreements from the Federal Government. ICE has also targeted migrants in sanctuary cities, executing mass raids in regions with non-cooperative local governments. ‘Operation Safe City’ resulted in the arrest of 498 people, many of whom had committed no offence other than their immigration status in the country. Raids such as Operation Safe City have been criticized for making communities less safe. Police chiefs in sanctuary cities argue that if migrants are afraid to have contact with police due to fears of being handed over to immigration authorities they are less likely to report crime, serve as witnesses, or provide police with crucial information in their neighborhoods. Further, requiring local police to enforce immigration laws diverts valuable resources from keeping their own communities safe from crime. Following the Executive Orders, the Trump administration has deployed dozens of judges to conduct hearings in immigration detention centers at or near the southern border. This practice forces asylum seekers to remain in detention throughout the duration of their asylum procedure, leading to a de facto mandatory detention policy and blocking access to asylum for many in need of safety. 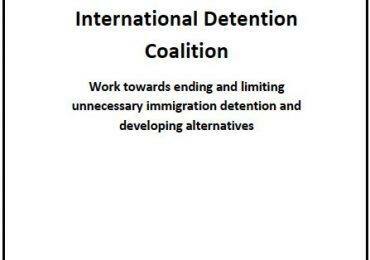 The use of immigration detention is often times unnecessary for effective migration procedures, and because it is extremely harmful it should never be used for people like asylum seekers who are already in vulnerable situations. Under the previous administration, 27% of people with immigration cases were held in detention during the duration of their case. However, under Trump’s Presidency this figure has jumped to an alarming 61%. Trump’s Immigration Principles continue the administration’s commitment to detention first outlined in the Executive Orders, proposing to ‘significantly tighten standards’ and ‘eliminate loopholes’ in the asylum system. The Principles aim to narrow the use of parole for asylum seekers, ensuring that more individuals and families will be detained indefinitely while awaiting an asylum hearing. Human rights organizations report that since the release of Trump administration’s Executive Orders and Immigration Principles, ICE routinely denies parole for even the most urgent, humanitarian and exceedingly reasonable requests. The commitment to detention and effective removal of parole for asylum seekers has devastating impacts on an already traumatized population, and ignores the wealth of evidence demonstrating the benefits of successful alternatives to detention. The Trump administration has consistently linked immigration with terrorism and violent crime, and claimed that increasing immigration detention will keep communities safe. Trump’s Immigration Principles call for a broadening of circumstances under which undocumented migrants can be deemed ‘a threat to the security of the American public’ and immediately detained and deported, most notably linking migrants with criminal gangs. However, a large body of research disputes the administrations claims, confirming that there is no statistical correlation between irregular migration and terrorism or higher rates of crime. In fact, a recent study demonstrates that in nine of the ten cities in the United States that resettled the highest number of refugees between 2006 and 2015, crime went down – in some cases dramatically. The Trump administration’s efforts to ban resettlement of refugees from Muslim majority countries have sought to falsely link Muslim asylum seekers and refugees with terrorism. The temporary bans have been the subject of successful legal challenges by human rights groups on the basis that it is unconstitutional, in that it discriminates against Muslims based on their religious beliefs. However, Trump’s latest Executive Order indefinitely bans migration to the U.S. from six majority Muslim countries: Chad, Iran, Libya, Somalia, Syria, and Yemen. Human rights advocates are again challenging the legitimacy of the travel ban, which if implemented will prevent family reunification of US citizens, and result in the indefinite detention of refugees and asylum seekers from banned countries awaiting asylum hearings in the Unites States. The Trump administration has slashed the U.S. government’s refugee resettlement program in half, setting the lowest cap in US history, closing the door to those who are most in need. The decision comes amid the largest surge in refugees globally in modern history, and leaves thousands of asylum seekers at risk of indefinite detention in countries with limited refugee protections and insufficient human rights institutions.